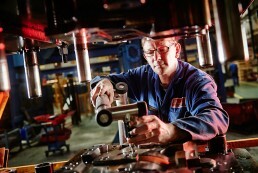 Our two manufacturing plants in West Bromwich and Birmingham offer up to 60,000 sq ft of production space and the capacity to produce parts from 0.5mm and 12mm gauge. 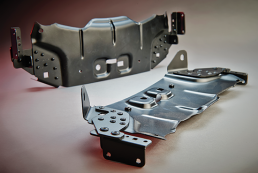 Through our two companies – Millennium Pressed Metal and Millennium Assemblies – we produce 25 million parts ever year for clients in 12 sectors and based in 20 different countries. Millennium Manufacturing Group boasts a wide range of 70 presses from 25 tonnes to 350 tonnes, which produce precision pressing and stampings for more than 50 different applications. More than 20 million parts are produced each year at our two factories, parts that are supplied all over the globe and used in a host of blue chip applications and world class technologies. "We’ve worked with Millennium for a number of years now as the company always delivers what it promises…quality parts on time, not to mention the... "